Estrella Mountain Community College (EMCC) introduced nearly 50 high school boys to various careers in power plant technology Jan. 11 during the inaugural Experience STEM event. The event was the brainchild of EMCC STEM Coordinator Liahla Roberts and Dean of Students Laura Dulgar. “I was so excited about the idea that I wrote the grant overnight last summer,” Roberts said of the innovation grant that funded three separate Center for Teaching and Learning projects, including the Experience STEM event. The event was aimed at high school boys from Title I schools as the college already hosts Hermanas, an annual program to introduce high school girls to STEM careers and majors. 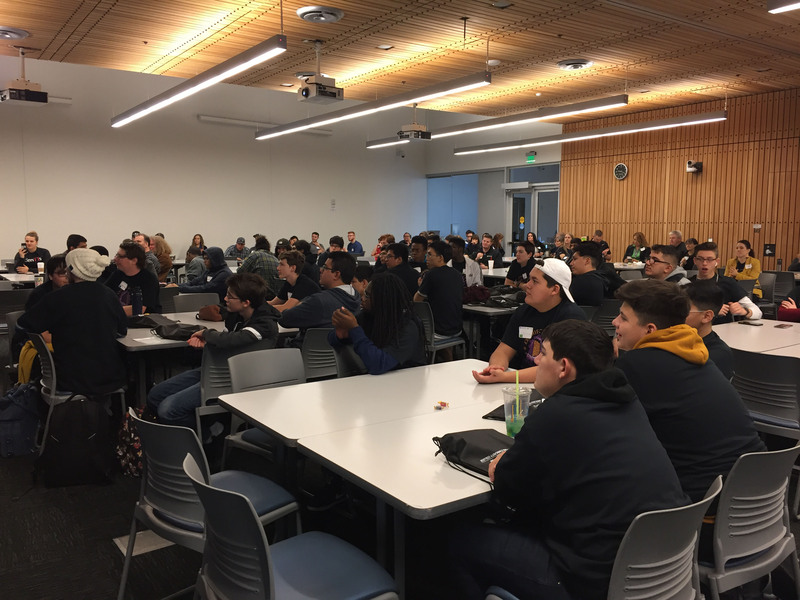 The purpose of the Experience STEM event was twofold — to help students from Title I schools get into college as well as encourage them to pursue STEM careers. 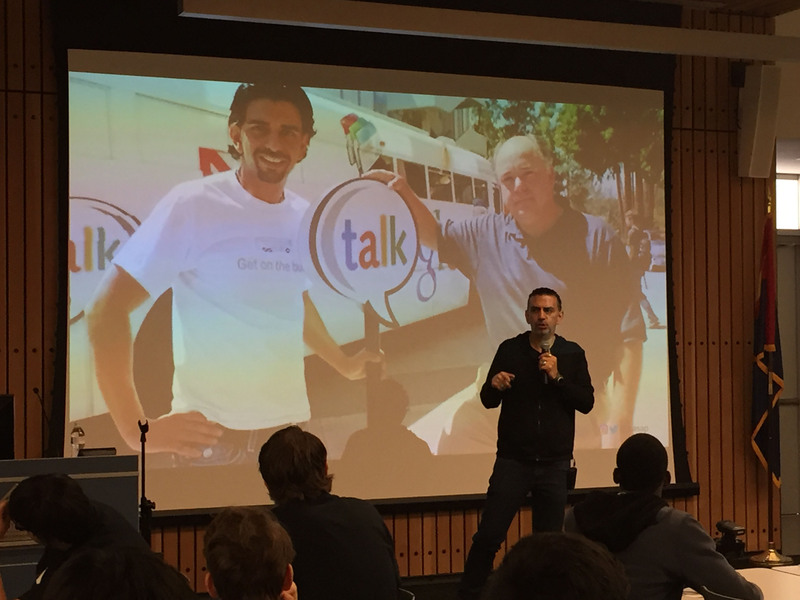 Experience STEM kicked off with a welcome address from Vice President of Learning Rey Rivera, followed by the keynote speaker, Google Education Evangelist Jaime Casap. Casap, a first-generation American (his mother emigrated from Argentina), spoke of his trials and tribulations growing up in Hell’s Kitchen, N.Y., in the ’70s and ’80s. Education was his ticket out of there, he said, adding the reason he’s been at Google for 13 years and has done amazing things and has had a great life is because he graduated from high school and went on to college and graduate school. He lives in Phoenix now and jumps at the chance to share his story and inspire students to continue their education after high school. 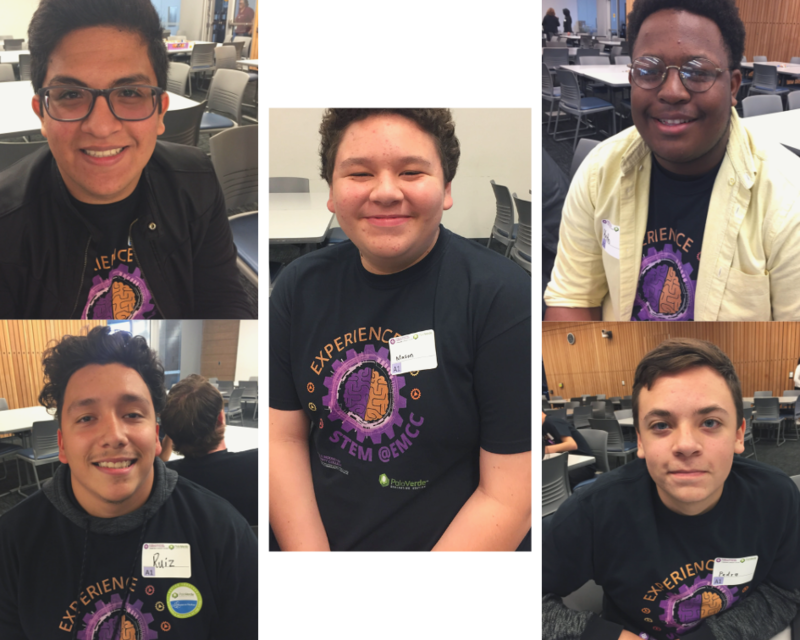 The high schoolers who attended Experience STEM had varying reasons for doing so. Some, such as 15-year-old cousins Mason and Pedro Torres, who are both sophomores at Arizona Agribusiness and Equine Center (AAEC) in Avondale, said they want to pursue careers in STEM. “I want to be a nuclear engineer, and my dream is to work at Palo Verde [Nuclear Generating Station],” Pedro said, adding he was hoping to meet new people and make some connections. “I want to learn something and get the opportunity to pursue a career in engineering,” Mason said. Others, including their classmate Keith Carter, also 15, attended the event to explore his options. “I’m hoping to get some information and just want to see if I’m actually interested in engineering or not,” he said. 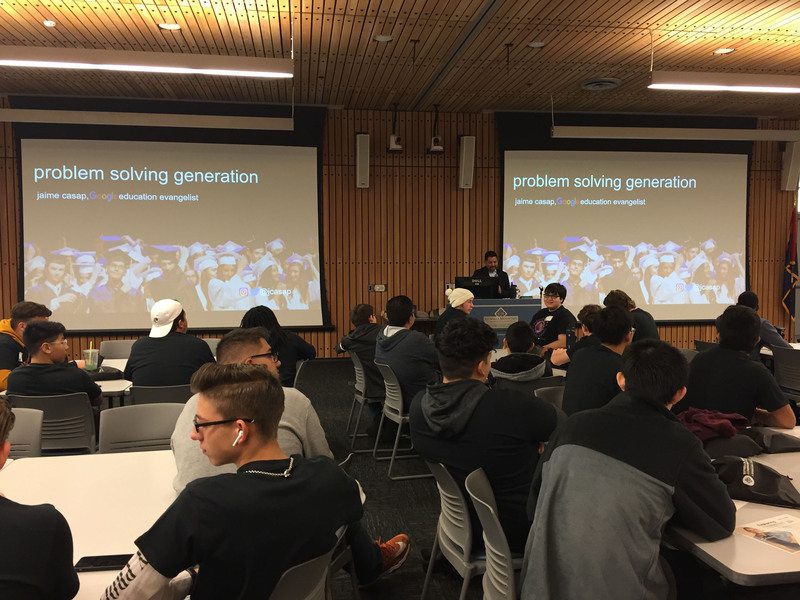 Throughout the day, the young men attended three different nuclear energy workshops, had plenty of pizza, and met STEM partners Palo Verde and Arizona State University School of Engineering. The day concluded with a short debriefing session and raffle where several lucky young men walked away with EMCC gear. As the innovation grant was a one-time grant, EMCC plans on partnering with the business community to make Experience STEM an annual event.